‘Chromatic and Co’ return to Camis! 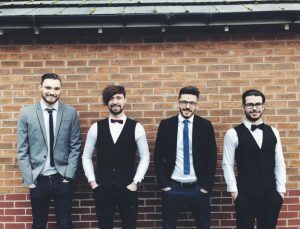 Previously known as ‘Chromatic’, ‘Chromatic and co’ will be returning to Camis Lounge on 2nd March as a 4 piece band! Pop down and check out some good music, drinks and an awesome Saturday night atmosphere at Camis!